Hey guys! My name isAron, and I bought my first LUV today. Sorry I don't have a picture, she's coming home on a trailer Friday. I'll update the post then or over the weekend. I have here an 80' gasoline 4x4 manual. It has been sitting for about 6 months so I have to do a bit to get it running. Was a farm truck for who knows how long, with a nice amount of wear. Will probably be making a build/repair thread. 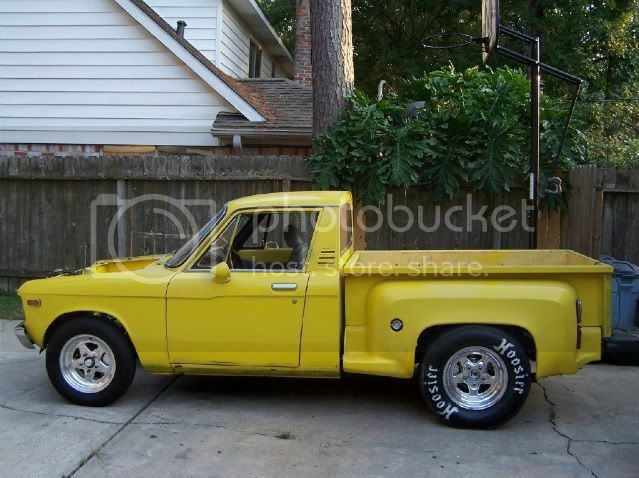 Looking to turn it into a light offroad truck, but not before I can get it running. Welcome! Look forward to pics and build thread. welcome to the site and enjoy the knowledge that has been gathered here. Here is the pic I promised. Needs some work but I do like this truck. You will be addicted when you say you LUV my truck. I have gone where full size 4x4 couldnt. Low power and low gear ratio rules.